Designed for 3D printed durable models, the MakerBot Tough Material Filament provides up to twice the impact strength of ABS. 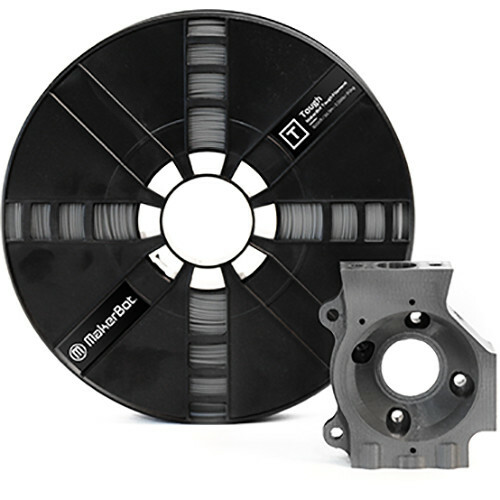 With significantly less warping and curling than ABS, this filament does not require a heated build plate. The filament is also highly machinable for a range of post-processing techniques and is more office friendly than your standard ABS filament. Box Dimensions (LxWxH) 10.05 x 9.8 x 2.05"